The first two satellites of Europe’s future navigation system are awaiting launch in French Guiana. Galileo will provide better coverage and positioning accuracy than the U.S. Global Positioning System (GPS). The first two satellites of the Galileo constellation are scheduled to launch on 20 October. Credits: Astrium. The 1st operational satellite of the European Galileo positioning system arrived in French Guiana last month. It is scheduled to be orbited with the 2nd satellite of the constellation on 20 October atop the 1st Soyuz launcher to lift off from the Guiana Space Centre. “The Russian launcher’s payload capacity gives us the ability to launch satellites in pairs and thereby accelerate deployment of the constellation while keeping down costs,” explains Claude Audouy, Galileo Operations Manager at CNES’s Toulouse Space Centre. “Astrium is building the first four operational satellites, which will be used initially for a final series of tests and are scheduled to enter operational service in 2014,” adds Audouy. German firm OHB-System will build the 26 remaining satellites in the 30-satellite constellation. CNES has been closely involved in testing and trials for Galileo (with Euridis and EGNOS), as well as in defining signals. 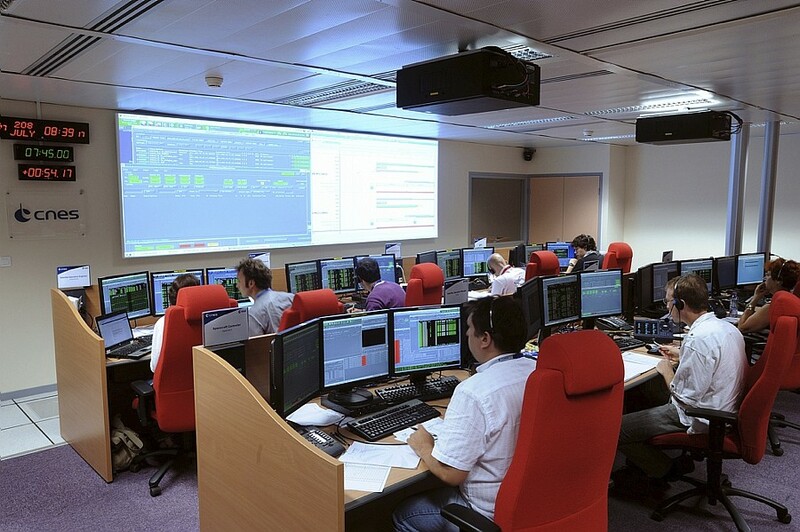 The main control room at the Toulouse Space Centre, from where the Galileo satellites will be positioned. Credits: CNES/E. Grimault. 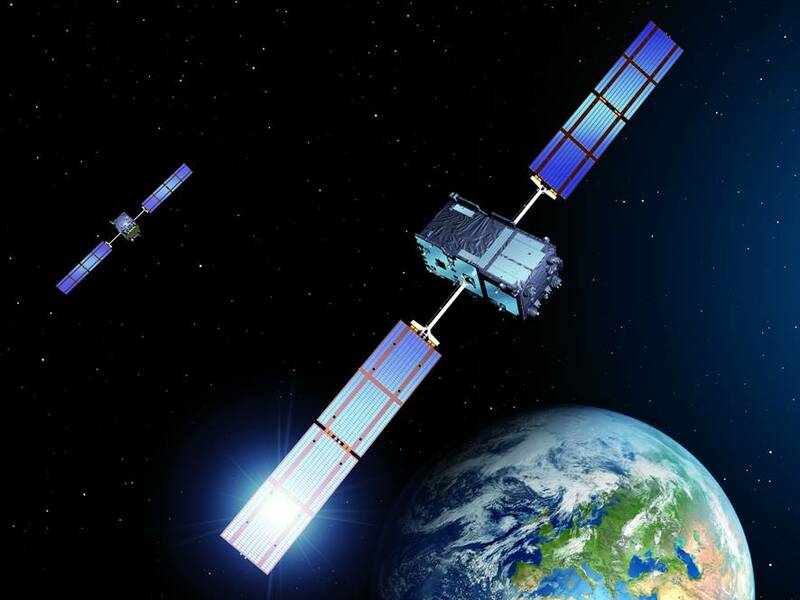 “Galileo translates Europe’s will to acquire its own satellite positioning system independent of the U.S. GPS and Russian GLONASS systems,” explains Claude Audouy. Indeed, the latter are under military control, whereas Galileo is a civil system. Funded in its entirety by the European Commission and developed under contract by the European Space Agency (ESA), Galileo aims to offer an improved service for civil and commercial applications. The system will provide better coverage and positioning accuracy (up to 1 m against 20 m for GPS) thanks to its larger constellation and higher orbit. Operating in a highly inclined orbit at an altitude of 23,222 km, the Galileo satellites will be very useful in urban environments. The higher orbit will also allow the satellites to cover a wider range of latitudes from –56° to +56°. Although the European system is independent in its conception, it will nevertheless be compatible with GPS and GLONASS and users will not know whether their signal is coming from a Galileo satellite, as the systems complement one another.